Learn to feed the right information to hotels to keep your F&B budget under control. Know where you stand with your F&B spend to better manage these costs whether you hit your minimum or not. 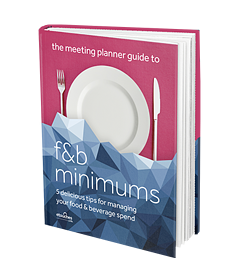 Download today and start making your F&B Minimum work to your benefit.